IPdigIT Plain packaging, trademark protection and Investment Treaties: Get ready! Plain packaging, trademark protection and Investment Treaties: Get ready! 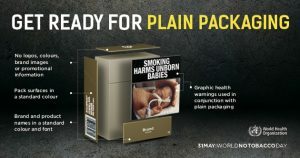 The obligation of using plain packaging for tobacco products, i. e. the requirement to remove or substantially reduce the appeal of the brand on the packaging of cigarettes and other tobacco products, has generated a lot of public debate, including about the effectiveness of such regulation (see here a summary of the debate in particular about the first plain packaging law adopted by Australia in 2011 and in force since the end of 2012; see also Art. 8 and ff of the EU Directive 2014/40 of 3 April 2014 on the manufacture, presentation and sale of tobacco and related products) and the implementing UK law regarding packaging which came into force on 20 May 2016). Laws imposing advertising bans for tobacco products have been challenged before various courts and fora. One argument is that such laws would violate the protection of intellectual property. We already discussed some trademark issues on this blog (see here, here and here). In 2011, the CFO of Philip Morris International warned that the company would vigorously pursue “several legal avenues to challenge” such laws (see here). Five years later, several decisions have been issued by various courts and (arbitral) tribunals, while others are still pending. 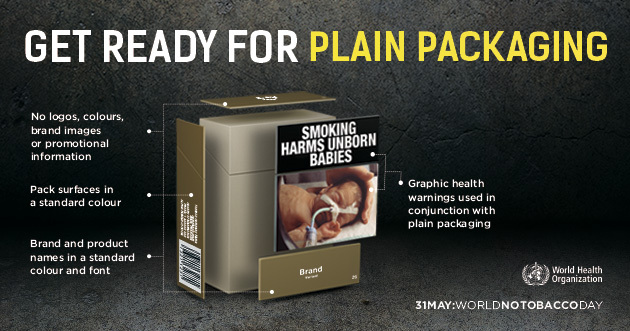 Three main legal avenues for challenging plain packaging can be distinguished. First, tobacco companies have challenged the constitutionality of those laws, claiming for instance that they should be considered as an undue “taking” of their property. The constitutional protection of property covers the protection of intellectual property. In Europe, Article 17(2) of the Charter of the Fundamental Rights of the EU expressly refers to the protection of “intellectual property”, while the European Court of Human Rights already ruled on several cases involving national measures that were alleged to be unlawful “expropriation” of intellectual property (under the First Protocol to the European Convention on Human Rights). Several courts, in particular the High Court of Australia (here), have discussed whether the requirements for a taking or expropriation with just terms are met. A second avenue involves WTO law. In 2012, at the request of several countries (Ukraine, then Honduras and the Dominican Republic), the WTO established a dispute settlement panel to investigate whether the Australian packaging law is compatible with the protection of intellectual property as defined in the WTO TRIPs Agreement (in particular with Article 1, 1(1), 2(1), 3(1), 15, 16, 20 and 27 TRIPs). The Ukrainian case against Australia was terminated on May 30, 2016 following the suspension of the proceedings by Ukraine and the ensuing panel’s juridiction lapse. The third avenue is based on bilateral investment treaties (BITs), such as the recently publicized and hotly debated CETA (Comprehensive Economic and Trade Agreement) between the EU and Canada. As shown in an IPdigIT series of three articles (here, here and here), the role of those investment treaties in the intellectual property field is growing. Under the BITs and contrary than with WTO law, private parties can sue States before arbitration tribunals. Using a 1993 bilateral trade agreement between Australia and Hong Kong, Philip Morris initiated in 2011 a case aguing that the Australian ban on trademark use breached the protection of foreign investment under this trade agreement. At the end of 2015, the arbitral tribunal declined jurisdiction in this case (see Australia wins international legal battle with Philip Morris over plain packaging in The Guardian). More recently, on July 8, 2016, the ICSID (International Centre for Settlement of Investment Disputes) based on Washington DC dismissed another investment claim raised by Philip Morris against two similar laws adopted by Uruguay. The award is available here. The case which involves the Switzerland-Uruguay BIT (the ‘Treaty’) is documented on Wikipedia (here) and discussed on IPKat (here). You can also follow online an interesting panel discussion on this arbitral award that took place on October 27, 2016 in Geneva and was organized by the International Centre for Trade and Sustainable Development (ICTSD). 4) Failure to observe commitments as to the use of trademarks under Article 11 of the Treaty. As a subsequent question (B), can you expect that the same type of claim could be made against Belgium/an EU country based on the recently signed CETA? Please identify the CETA provisions on which an investor can rely against a plain packaging law that Belgium/another EU country would enact. Here is the CETA Text, a general presentation of CETA and a high level presentation of the IP provisions of CETA. Relying on this IPdigIT post, you should as well discuss whether intellectual property qualifies as a foreign direct investment.